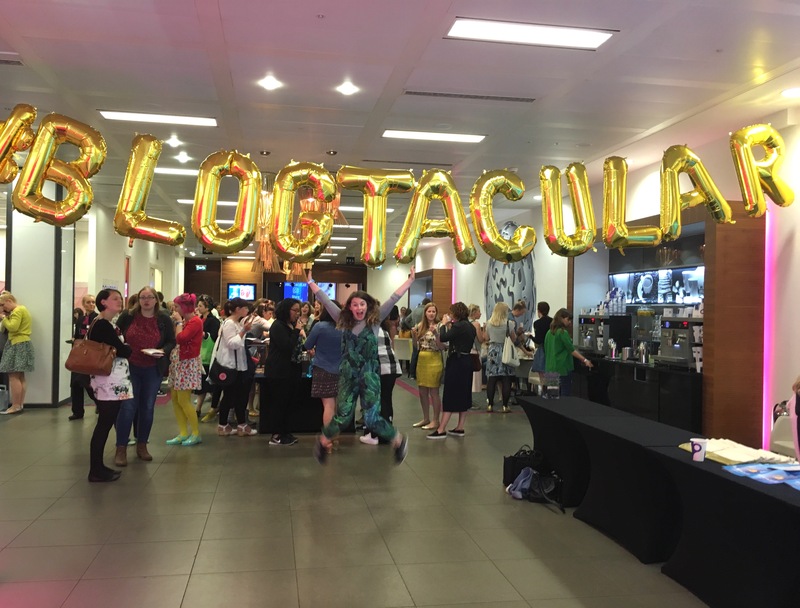 I don’t even know where to start with this post… My head is still swimming with ideas after this year’s Blogtacular and I’m a bit all over the place. I’m going to take you through the event and what I learned from each session, with the hope that by the end of it I’ll have some more fully formed ideas. I didn’t go on the photowalk this year as I’d already had a go last year and thought I’d let some other people get in on the fun. 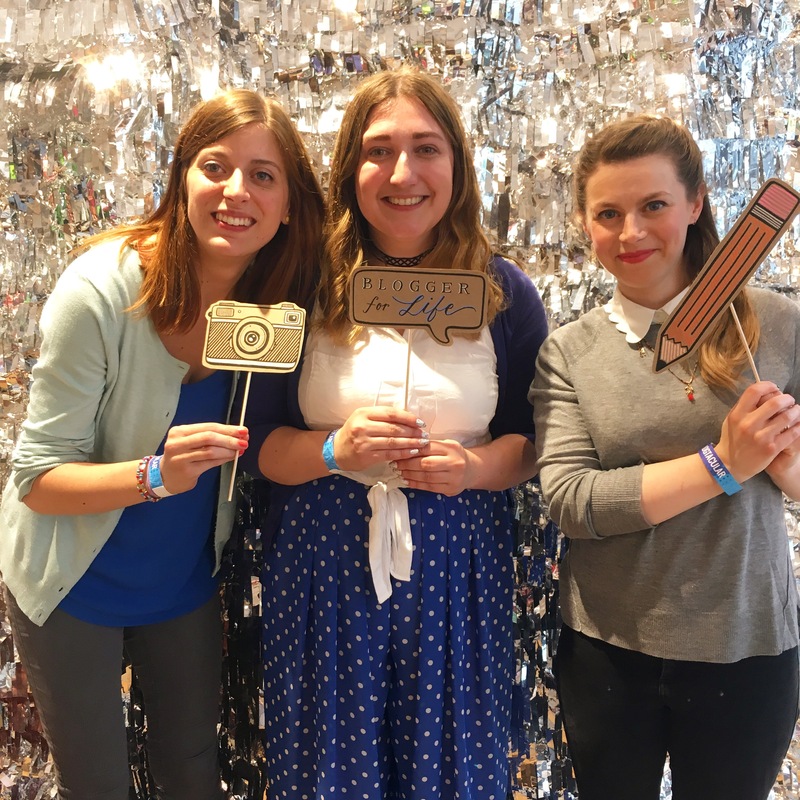 This meant my first Blogtacular experience this year was the Friday party, held at the London West Elm store. Basically, we ate, we drank, we chatted and we crafted. Perfect really. The time flew by and I wanted it to go on all night! Mainly I hung out with the 2 lovely ladies above – Natasha and Shelley. Natasha vlogged it if you want to get a better idea. Lisa Congdon is an artist and illustrator based in Portland, Oregon (obvs). She became an artist later in life, having not been to art school – proof that you can be successful in whatever you want to be, you don’t have to follow the usual path. She spoke to us about a few things; self-doubt, the vulnerability hangover (what you feel after the high of revealing something about yourself has gone – be that telling an embarrassing story at a dinner party, or showing your art), and what makes a good life and how we can measure that in different ways to how many followers we have and how much money we make. The quote in the title of this blog post comes from this talk and I love it. I definitely need a reminder to not feel guilty for saying no sometimes. Next up, I chose Kristabel‘s talk on when your blog is your business. I would imagine that a lot of bloggers don’t start their blog thinking it will earn them money (I didn’t anyway), and therefore you don’t start with a business plan. 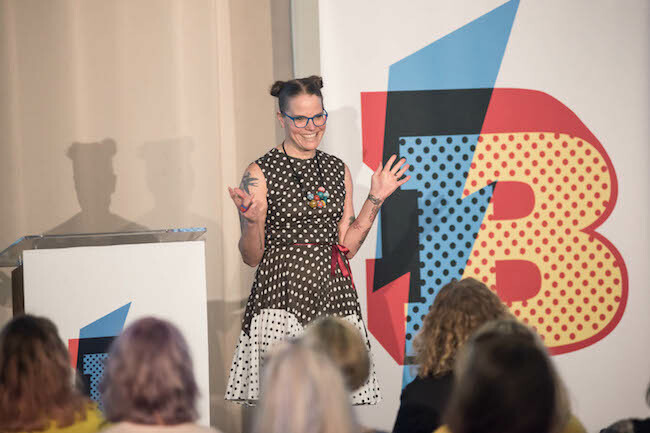 Kristabel talked us through what we should be thinking about, and what we should have in place if we want to work with brands. 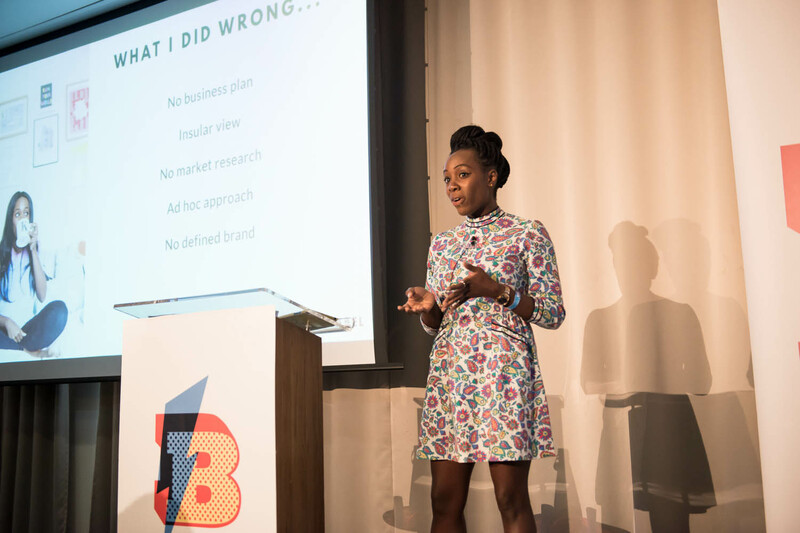 There were heaps of useful tips about the information brands will want, how important it is to communicate with brand, be clear what both of you want out of a collaboration, how important building relationships with brands is, and how you should calculate your fees. This is a really interesting one. Kristabel pointed out that you should scale backwards – think about what your yearly income should be and charge accordingly. There is a real problem with brands not being willing to pay and if bloggers accept little/no payment, if affects all other bloggers. Sara’s Instagram feed is a thing to behold. Documenting life with her daughter, it has a very particular, moody but pretty aesthetic. 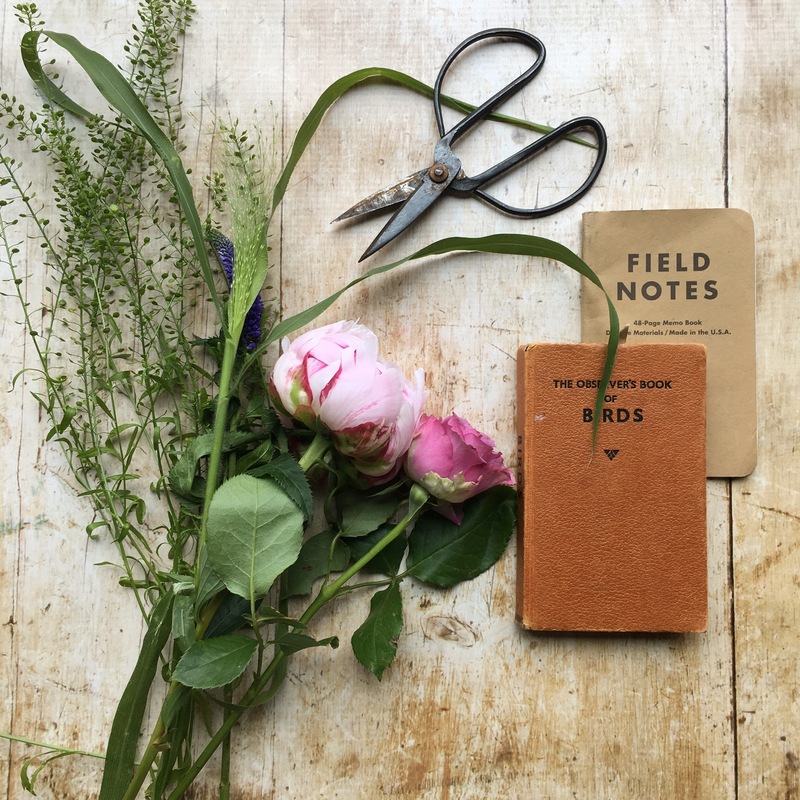 Sara took us through her rules for Instagram, such as – have a clear visual style, capture moments, not things, narrative is important – don’t be afraid to put yourself in your pictures, look at texture, layering, angles, negative space, colour and mood. 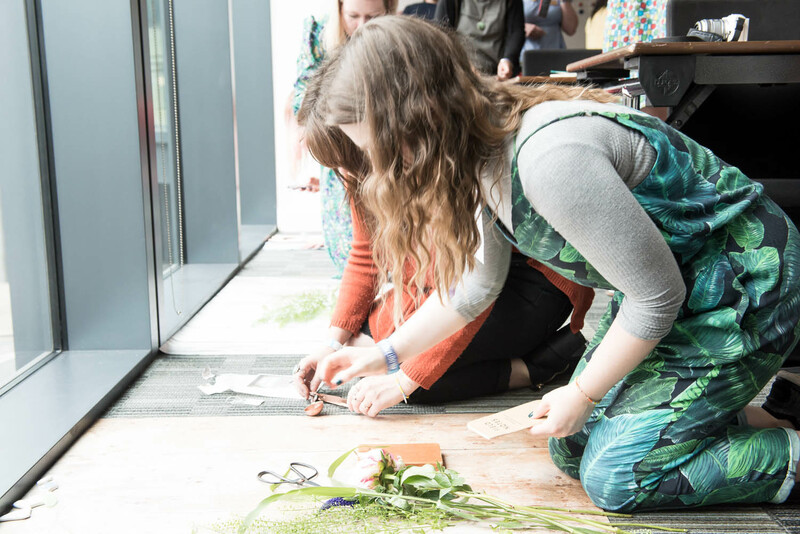 After learning about all this, we were faced with a load of props and told to give it a go! I loved doing this – see me above, getting stick in, and the resulting picture above that. I don’t know how I feel about the idea of having a super-curated feed because I don’t think that is me, but it was interesting to hear it from someone who is super successful at it. Laura is a writer. She writes at Superlatively rude, for various press and she just released her memoir, Becoming. If you follow me you probably know that words aren’t my strong suit – I’m more of a visuals girl. I was quite nervous to do this workshop, knowing it would involve writing. I was even more nervous when I realised we have to share what we had written! But only to our next door neighbour. Still terrifying! What I think I most took away from this workshop is the art of editing. I’ll be honest, I don’t often do this and I learnt that it’s so important – if you can make the same point using less words – do it. 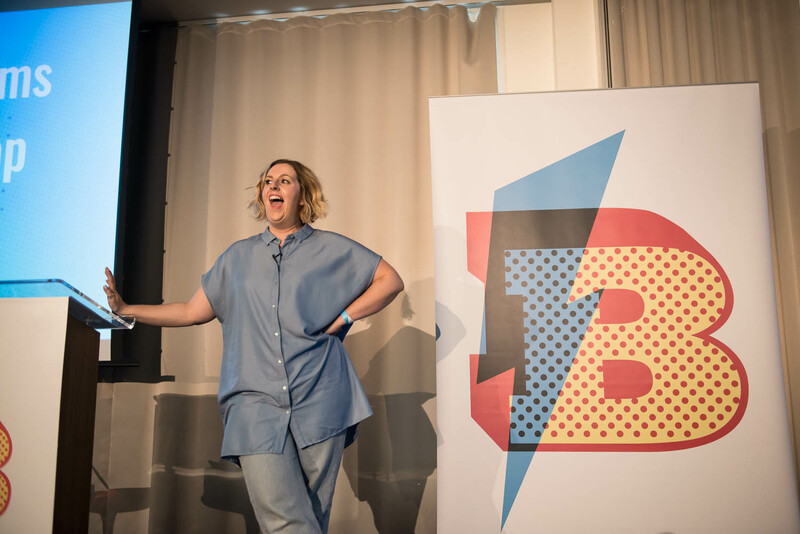 Also, I could listen to Laura-Jane speak all day – she is hilarious! To be honest, I’m not really a pinner. I try and remember every so often but Pinterest is not one of my favourite social medias. Anyway, it was still really interesting to hear from Enid about the journey of Pinterest and she has pretty much been their since the beginning. Again, their was a lot of talk here about strategy, thinking about your vision. Also, not caring what other people are doing and making time to be self-reflective. All sensible stuff. What did I take home? Apart from the goody bag (that deserves it’s own post! Watch this space…), and meeting so many brilliant people, I think the biggest thing I took away is that I really need to start thinking more strategically. I do find it a bit gross to talk about blogging as a business, especially as that’s not what I would imagine the majority of my readers are here for, and I don’t see that sort of paid content as the future of my blog. But as I’m planning to open an online store soon (eeeek), I think a lot of what I learnt also applies to that. I came away full to the brim with ideas and enthusiasm. The biggest job now is to keep that going! 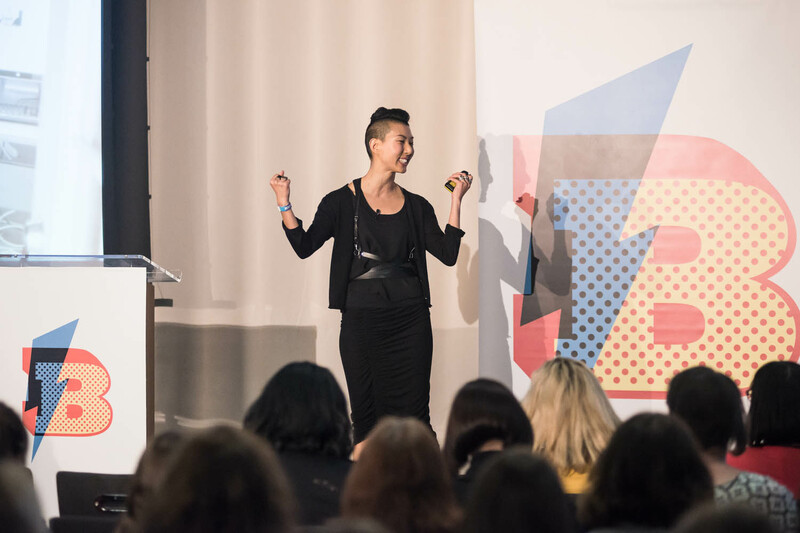 Natasha vlogged the conference day too – do check it out! I’m in it a bit, see what we got up too, including snippets of the talks.